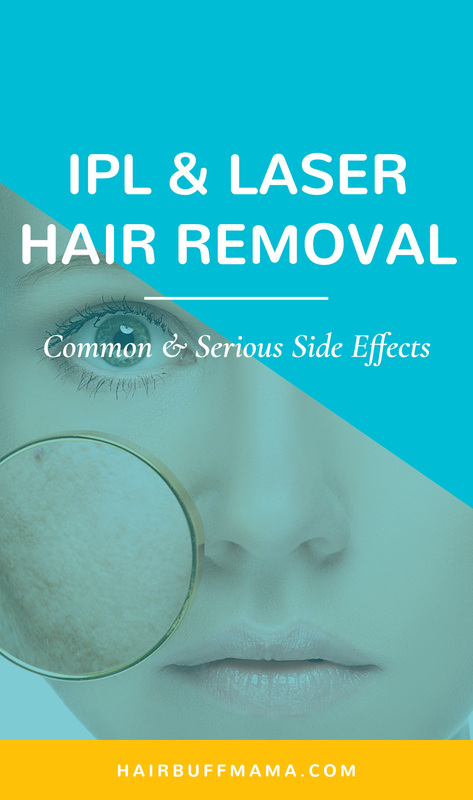 Just like any other cosmetic or medical procedure, using a home-use IPL or laser hair removal device carries some risk of complications and side effects. These effects may vary from person to person and can depend on your skin type and tone. Whether you’re already using this kind of device at home, or are planning to purchase one, understanding these common side effects will help you understand how to best protect against them. Slight redness or swelling. These side effects are expected due to the unusually intense application of light to the skin. However, they typically subside a day or two after treatment. Slight skin pigment changes or discoloration. Not performing a patch test on the treatment area is usually the cause of skin pigmentation. Skin pigmentation may appear lighter (hypopigmentation) or darker (hyperpigmentation), but it is more experienced by users with a darker skin tone. Eye damage. Some users have reported eye damage from IPL treatment because they were treating the face area. The damage lasted for years after the treatment. These users have reported iris transillumination, posterior synechia, and photophobia. This is the main reason why at-home IPL and laser devices manufacturers do not advice using it on the face, especially around the eyes. Some at-home IPL devices have facial cap filter so that you can use it on the face safely but not around the eye area. Example of these devices are the Remington iLight Ultra Body and Face and LumaRx. So even though at-home IPL and laser devices are typically not overly powerful, and pose less of a risk than laser, the potential risk can be reduced by not using the device on the eyebrows or anywhere near the eyes. Blistering and burns. Blistering can occur if the light flashes cause the skin to overheat, which in turn poses the risk of infection. If the areas to be treated have moles or tattoos, the user must avoid using the device on those areas. Strict adherence to the included instructions will always be the most effective means of preventing side effects. However, it’s also important to remember the following tips to avoid serious side effects when using the product. You don’t want to risk your beautiful skin for side effects, do you? Always wear protective eyewear. Some at-home IPL and laser devices product manual may tell you that use of eyewear isn’t necessary, however, medical professionals suggest that you should always protect your eyes every time you use an IPL or laser hair removal device to avoid potential damage to the eyes. Performing a patch test. Almost all at-home hair removal device models come with a patch test to determine whether you’re a good candidate for the procedure, based on your skin tone and hair color. Carefully follow the instructions in the manual. Use of IPL or laser numbing cream or gels. Applying cooling gels can help keep your skin from overheating, which is a common side effect with these types of products. Use of antiseptic creams after the procedure. It’s recommended to apply antiseptic creams right after the procedure and keep the treated area protected from exposure to the sun for an extended period of time, in order to avoid any possible complications. Buy an FDA-approved product. FDA approval offers the assurance that high-quality tests were implemented prior to the release of the product on the market. This greatly reduces the risk of undesirable side effects or other complications. Using common sense. The most important weapon that you have is common sense when it comes to following the manufacturer’s guidelines. The same goes for making sure that you only purchase products approved by the FDA. But if you still end up experiencing pain or discomfort while using the product, immediately discontinue use and seek medical advice.